New in the critically acclaimed Little People, Big Dreams series, discover the life of Rudolf Nureyev, one of the greatest male ballet dancers of all time. 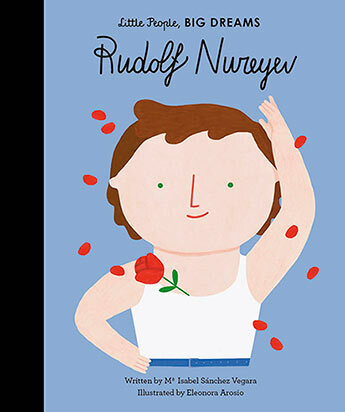 Rudolf fell in love with dance as a child. But he was not allowed to go to ballet school until he was 17. There, he had to make up for lost time and hone his skills to compete with the other dancers. As a professional, he dazzled audiences with sensational performances and star power. He went on to become a world-renowned choreographer and master of perfection in dance. This inspiring book features stylish and quirky illustrations and extra facts at the back, including a biographical timeline with historical photos and a detailed profile of the dancer's life.